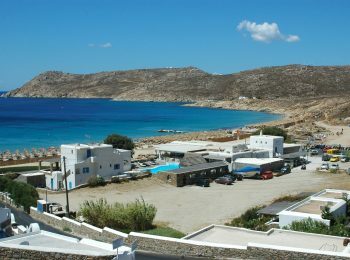 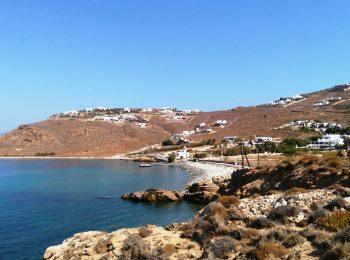 Mykonos is world famous for its beautiful golden sandy beaches and transparent waters. 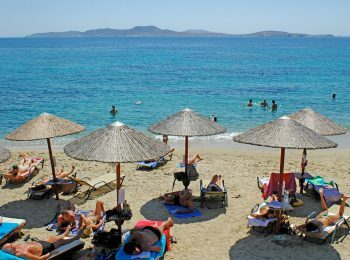 There is a beach for every taste and mood. 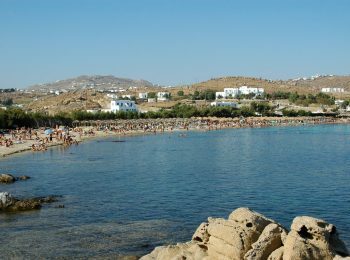 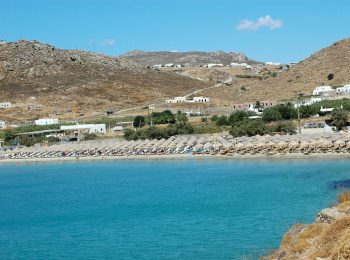 Nudists, round-the-clock party people, families and those seeking a break from the madness of Mykonoswill all be able to find a beach that fits their taste. 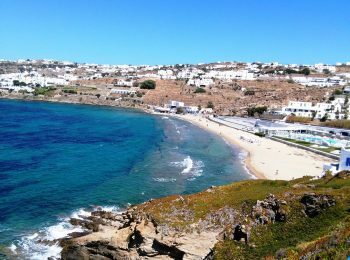 Mykonos is world famous for its beautiful golden sandy beaches and transparent waters. 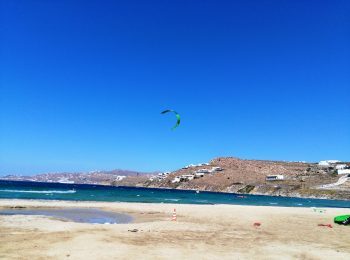 There is a beach for every taste and mood. 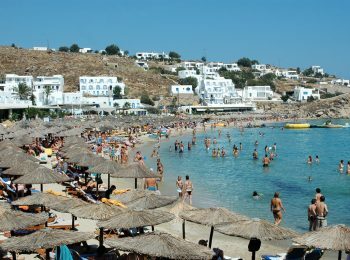 Nudists, round-the-clock party people, families and those seeking a break from the madness of Mykonoswill all be able to find a beach that fits their taste. 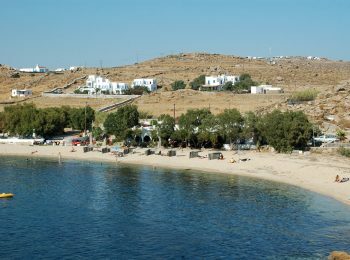 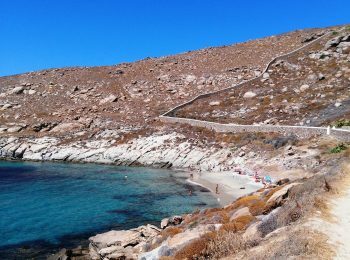 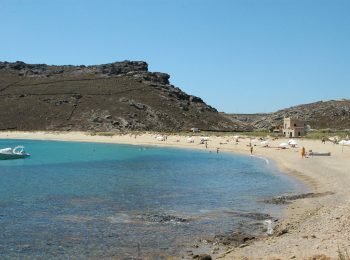 The Mykonos beaches on the south shore of the island have the best sand, view and are protected from the Meltemi, the local Cycladic wind. 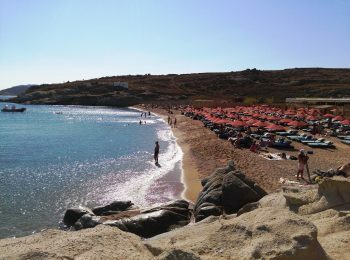 Keep in mind that most people begin to arrive in the early afternoon, and you can avoid the worst of the crowds by going in the morning. 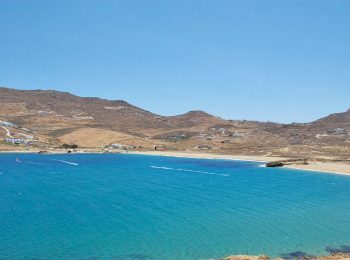 The north coast beaches are less developed but just as beautiful. 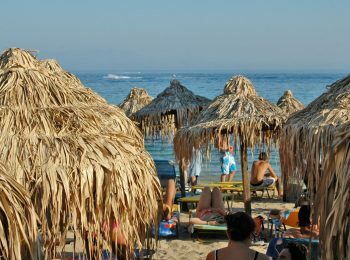  They are less organized and crowded and most suitable for those in search of a bit of calm.